Blog | Cooling of Electronics 101 - What's the Point? Home / Blog / Cooling of Electronics 101 - What's the Point? Cooling of Electronics 101 - What's the Point? When it comes to electronic devices, there are a few key attributes that a component has which will determine the functionality and implementation of its use. Electrical ratings - maximum voltage allowed, maximum current allowed, and dissipation through heat - are a few of the key ratings to keep an eye on. Apart from that, a very crucial rating that electrical units have is the range of temperatures that they should be run at to ensure proper functionality. Heat directly correlates to the life expectancy of electrical devices and as the temperature changes, so too does the expected life of the unit until failure. This correlation has been proven and has been coined "10°C - Twice Law". A component's life will be rated for X amount of hours at a certain temperature, say 50°C. As this temperature fluctuates, the life expectancy fluctuates as well. A change in temperature from 50°C to 60°C will cut the life hours in half, whereas a decrease in temperature, 50°C down to 40°C, will double the expected life. Electronic devices can be cooled in a multitude of different ways, each having their own benefits as well as drawbacks. 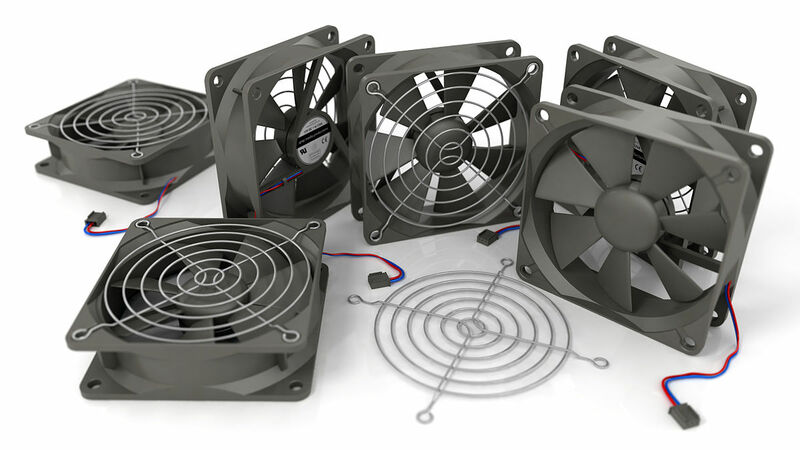 A few of the more common ways - cooling fans, heat sinks, and liquid cooling - are primarily used due to their low, if any, required maintenance and minimal additional space needed for implementation. In the world of electronics, it's great practice to periodically verify that cooling systems and devices are properly working. Though the main purpose of this is to avoid cutting the life expectancy of components down, it also directly will lead to better production numbers when machines don't have to be out of production while repair work is done. When we repair drive units here at Precision Zone, part of our standard reconditioning process is to replace any form of cooling devices to keep the repaired units running as long as possible. For any questions or additional information, feel free to reach out and contact us over here at Precision Zone and our attentive and friendly customer service team would be delighted to assist!